Golf Shaft Store – Shop for golf shafts. Free tip, grip and shipping on golf driver shafts. Tip It — Grip It — Ship It ! We will deliver a shaft to your door ready to play. You select a shaft, give us the length and label orientation, pick a head adapter and then a grip, specifying size and label orientation. We will build your shaft and deliver it to your door in about a week. You simply screw it into your head and go to the course. 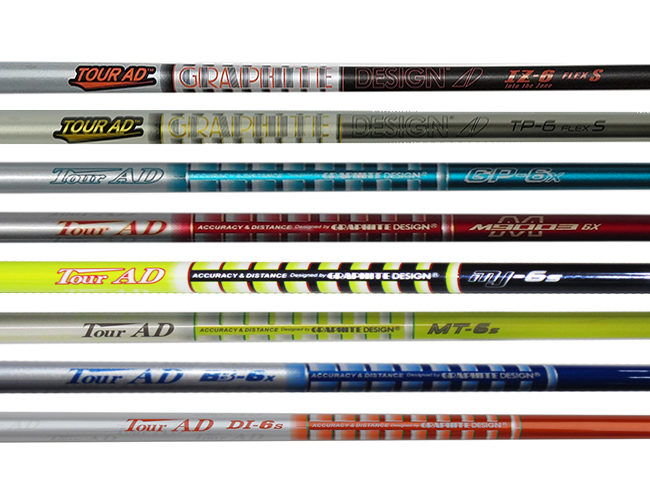 We are working on making the current shafts reviewed at GolfShaftReviews available to all our readers. We have heard from many readers that they do not have access to the products we write about. This store solves that problem. If you are not already a subscriber to GolfShaftReviews click here to register. Lifetime subscribers will see discount coupons of available shafts in the reviews.